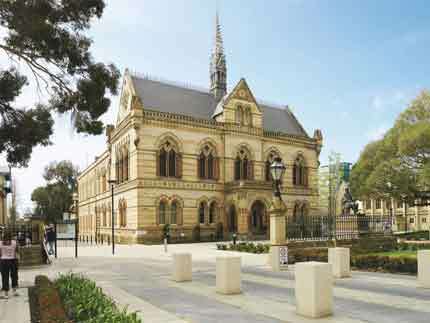 Established in 1874, the University of Adelaide is Australia's third oldest university and the first in South Australia. 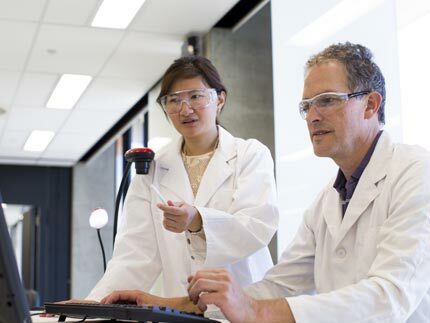 For more than 140 years our researchers have had an impact all over the world – making vital contributions to the invention of x-ray crystallography, insulin, penicillin and the Olympic torch. 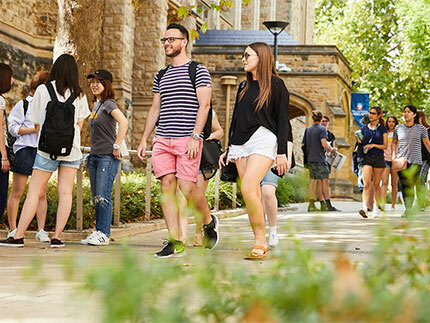 The University's history highlights more of these significant milestones and the extraordinary people who achieved them. The Nobel Prize is an international award given yearly since 1901 for achievements in physics, chemistry, medicine, literature and peace. 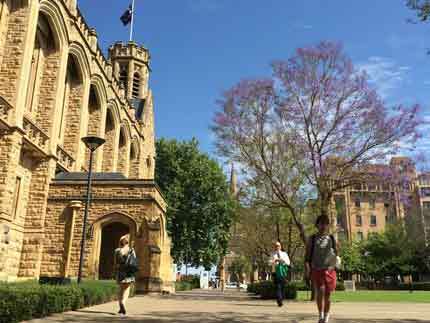 Only 15 have been awarded in Australia – and 5 of these to University of Adelaide Professors. Among these is the second youngest ever laureate and the only father-son duo to have won the prize in the same year. Dr John Robin Warren AC (born 11 June 1937 in Adelaide) is an Australian pathologist and researcher who is credited with the 1979 re-discovery of the bacterium Helicobacter pylori. He received his MBBS from the University of Adelaide. In 1967 he was admitted into the Royal College of Pathologists of Australia and became a senior pathologist at the Royal Perth Hospital where he spent the majority of his career. At the University of Western Australia with his colleague Barry J. Marshall, Dr. Warren proved that the bacterium is the cause of stomach ulcers. Dr Warren helped develop a convenient diagnostic test (C-urea breath-test) for detecting H. pylori in ulcer patients. He was appointed a Companion of the Order of Australia in 2007. The South African-born multi-award winning author and academic had travelled the world and lived in the UK and USA before choosing to settle in Adelaide in 2002, where he holds a visiting professorship at the University of Adelaide. Born in 1940 in Cape Town, Coetzee is noted for his novels about the effects of colonization and has also been active as a translator of Dutch and Afrikaans literature. Howard Walter Florey (1898 – 1968) was an Australian pharmacologist who shared the Nobel Prize in Physiology or Medicine in 1945 with Ernst Boris Chain and Sir Alexander Fleming for his role in the extraction of penicillin. Florey's discoveries are estimated to have saved over 80 million lives, worldwide. Florey was born in Adelaide and attended the University of Adelaide 1916-1921. Florey's portrait appeared on the Australian $50 note for many years, and a suburb in the national capital Canberra is named after him. The Howard Florey Institute, located at the University of Melbourne, and the largest lecture theatre in the University of Adelaide's medical school are also named after him. In 2006, the federal government of Australia renamed the Australian Student Prize, given to outstanding high-school leavers, the "Lord Florey Student Prize", in recognition of Florey. William Lawrence Bragg (1890 – 1971) was the son of William Henry Bragg. Born in Adelaide, he was educated at the University of Adelaide and at Cambridge University, where he became a fellow and lecturer. After the war, in 1919, he was appointed professor of physics at Manchester University. Success came very early to Bragg, who shared the Nobel Prize for physics with his father in 1915. Following Max von Laue's discovery of x-ray diffraction by crystals in 1912, Lawrence Bragg in the same year formulated what is now known as the Bragg law. Lawrence Bragg later worked on silicates and on metallurgy. In 1941 he was knighted. Sir William Henry Bragg (1862 – 1942), was a British physicist who was educated at King William's College, Trinity College and the University of Cambridge. Bragg was appointed Elder Professor of Pure and Applied Mathematics at the University of Adelaide in 1885 and later went on to become Cavendish Professor of Physics at the University of Leeds. Bragg and his son, Sir William Lawrence Bragg, share the 1915 Nobel Prize for Physics – the only father-son team to win the Nobel Prize. Later Bragg, who was knighted in 1920, held the Chair of Physics at the University of London, and headed a research group that invented the hydrophone, an instrument used for the detection of submarines.